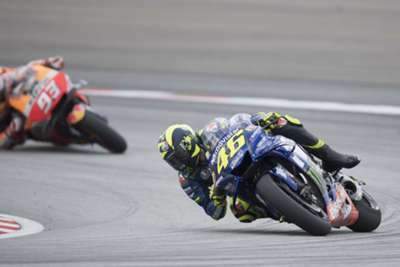 Valentino Rossi was left distraught after seeing the chance of a first race win of 2018 slip away in Malaysia on Sunday. With Marc Marquez jettisoned to seventh on the grid for a qualifying incident with Andrea Iannone, Rossi was able to surge ahead in Sepang after a stunning start. The Italian quickly left Johann Zarco behind and opened up a commanding lead, with Marquez fighting his way back to second in the latter stages. Catching Rossi still looked like a big ask for Marquez but the world champion was gifted victory when the seven-time champion crashed out at the first corner with four laps remaining. And that left Rossi, who has not won a race since Assen in June 2017, "devastated". "We have to say that is my first mistake of the season because I arrive always at the end, except in Argentina," said Rossi. "Maybe it is the worst moment [to make the mistake], I am devastated for the crash. "On the other side I am also happy because anyway we live the dream for 15 laps, and after the victory of my brother [Luca Marini in Moto2] also could've been a great day, but it's like this. "For one side I am very happy for the race because is the best race of the season for me and is also coming in difficult condition and in a difficult track for us. This is very important. "On the other side is a great shame, I am very disappointed for the mistake and make a race like this and go home with zero point is frustrating." 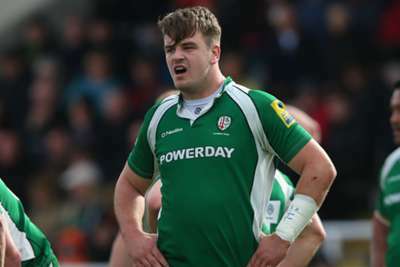 There will be two Sextons in the Pro14 next season after Johnny's younger brother Jerry agreed to join Southern Kings from Jersey Reds.